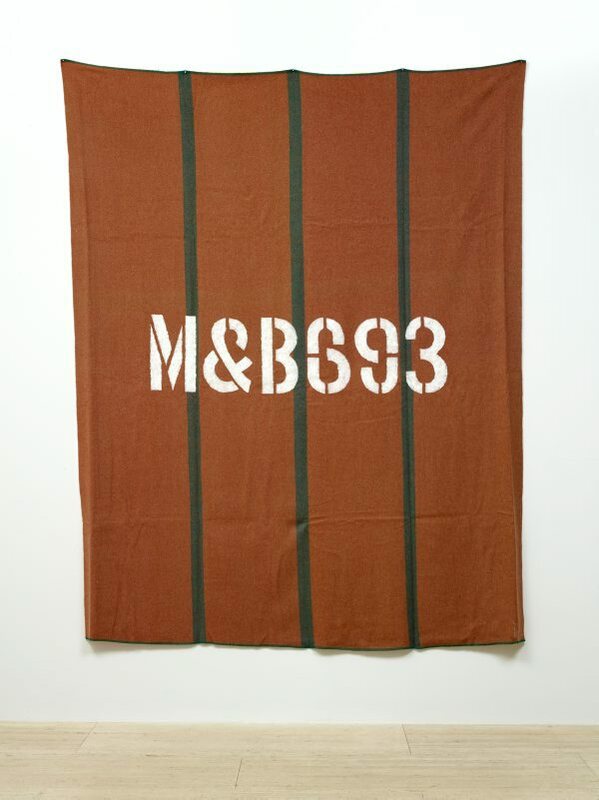 "Murranji: 15 Frog Poems, a keening." 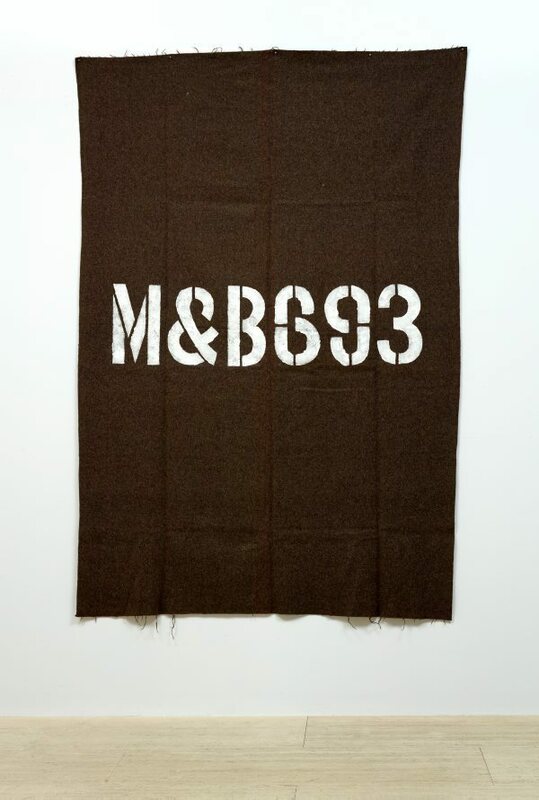 ‘Murranji: 15 frog poems, a keening’ 1996-97 is named after the Murranji track, an old stock route in the Northern Territory that was in use from 1881 until 1967 and now no longer exists. 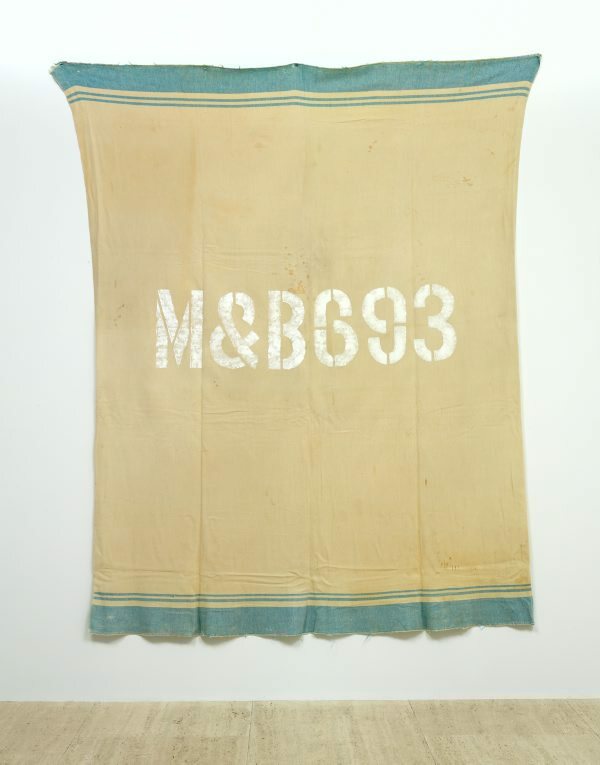 The track partially followed the paths of the Mudburra people, the area’s Aboriginal inhabitants, running from Top Springs to Newcastle Waters where it joined other tracks to Alice Springs or into Queensland. 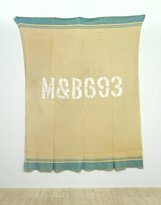 It was notoriously difficult for stockmen and their cattle, becoming known in outback folklore as the ‘Ghost Road of the Drovers’ for the number of men, cattle and horses that legend has it died traversing the route. 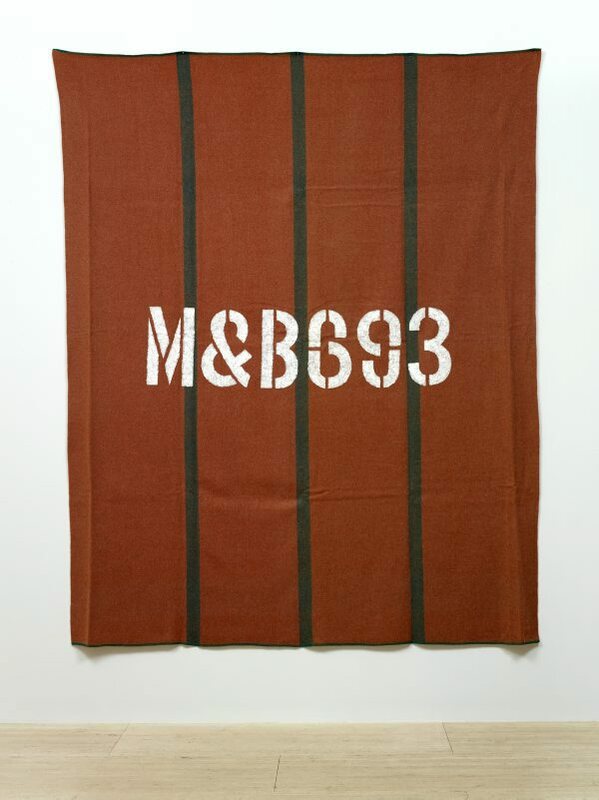 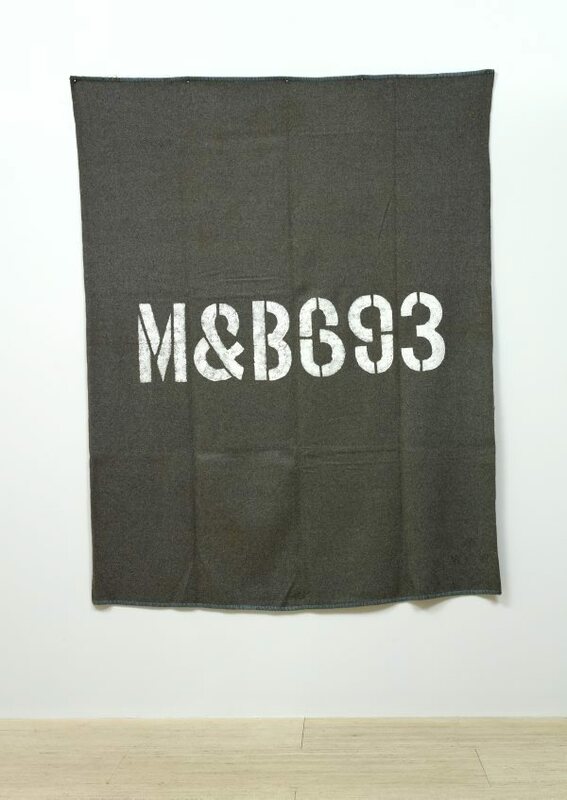 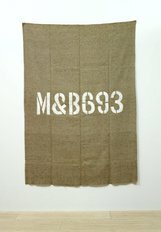 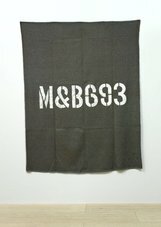 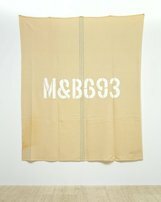 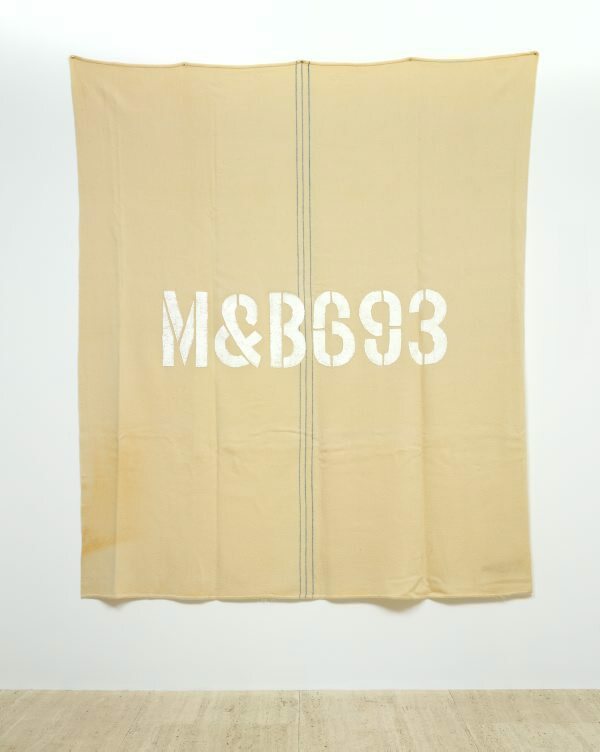 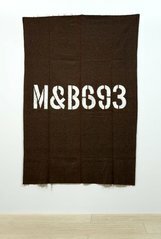 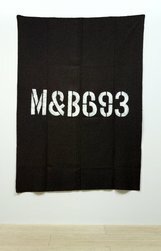 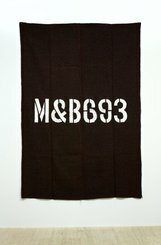 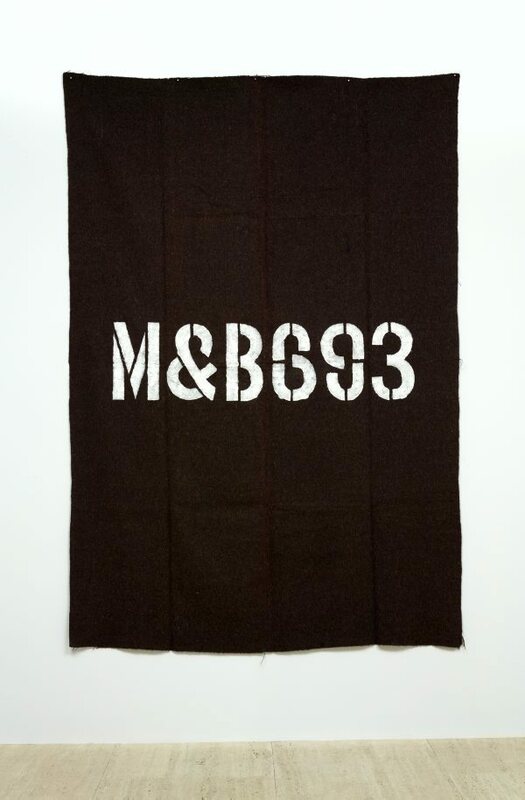 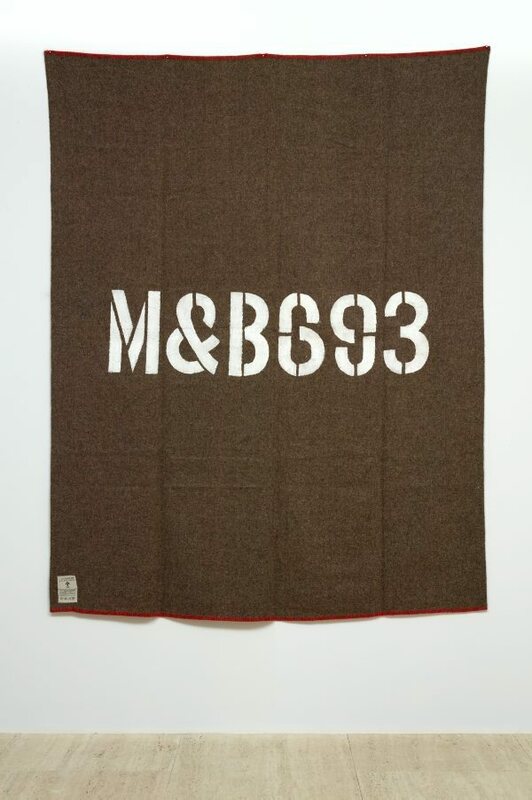 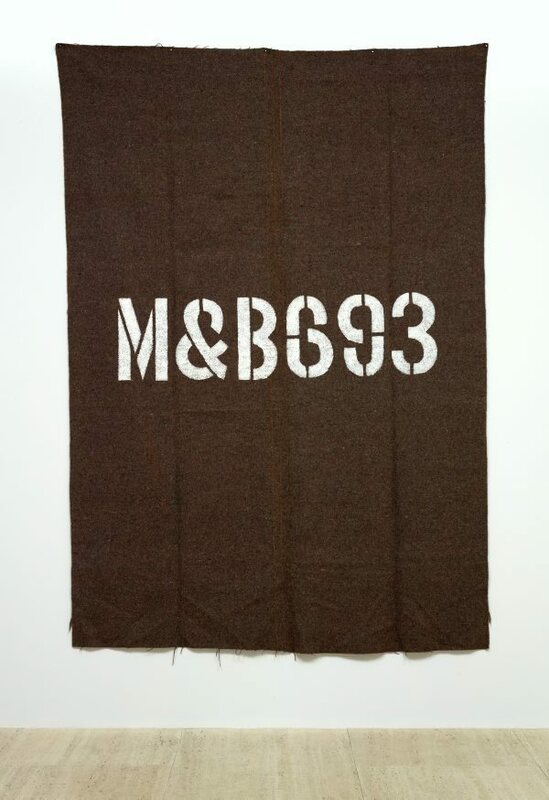 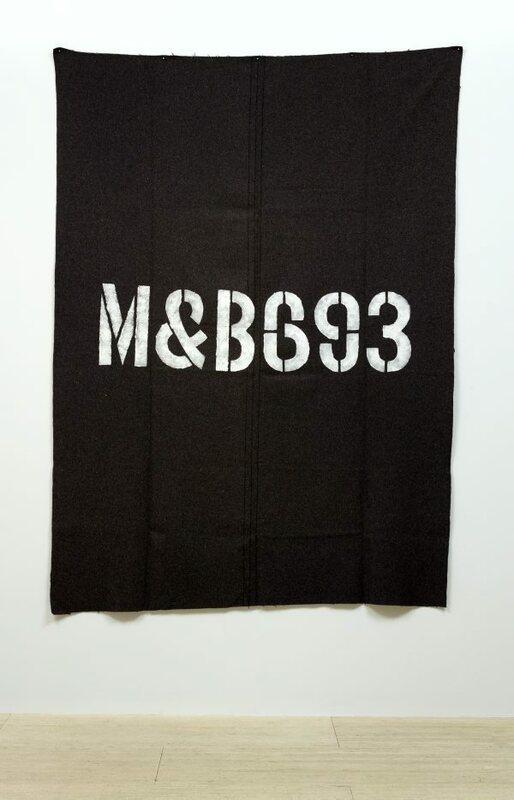 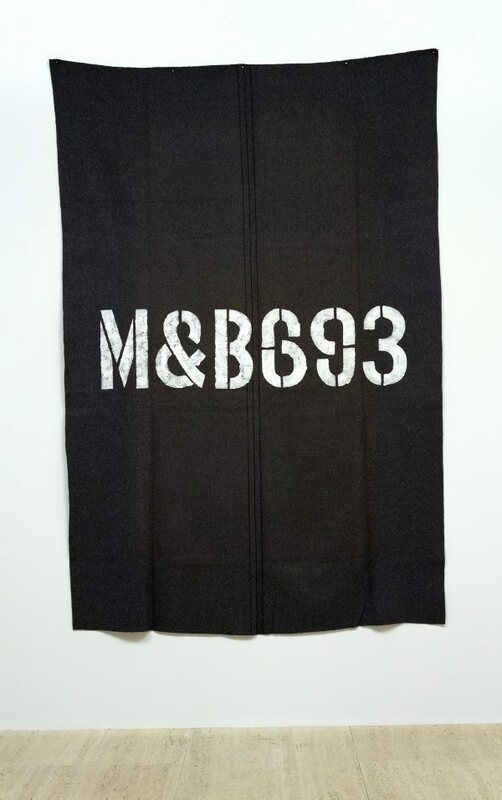 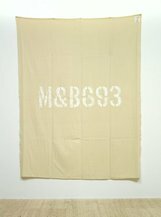 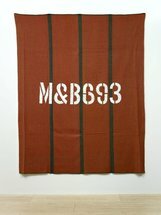 In this work, Robert Macpherson has stencilled 15 old blankets with the letters ‘M&B 693’, the code name for a sulfonamide antibacterial drug developed by British firm May & Baker in 1937. 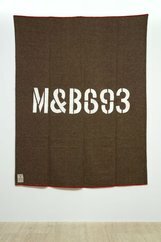 It was widely used in the 1940s before being replaced with penicillin and other antibacterial drugs at the end of the decade. 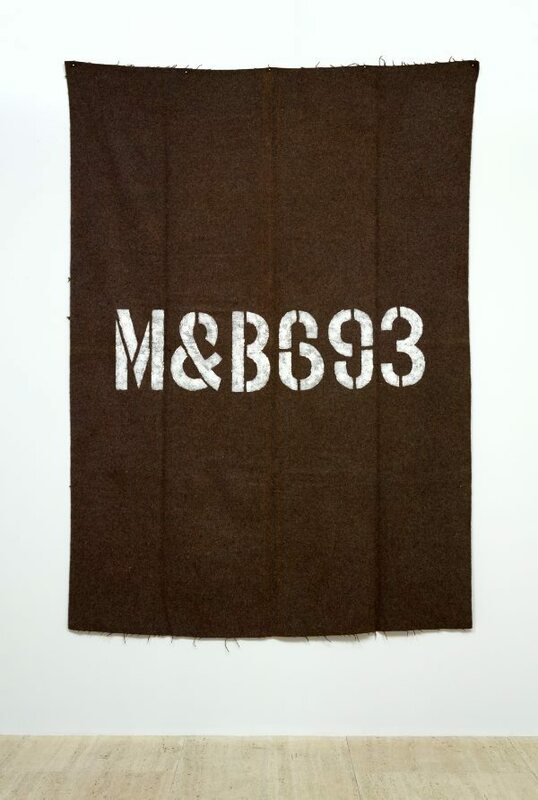 By repute, M&B693 was used by drovers trying to self-treat gonorrhoea and continued to be used as a treatment for bacterial infections in cattle in the 1950s, while it is unlikely that the treatment was made available to Aboriginal men and women. 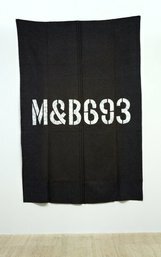 Men who had gonorrhoea or were suspected of having it were not be allowed to cross from the Northern Territory into the Queensland border towns in an attempt to limit infections which also had a moral dimension. 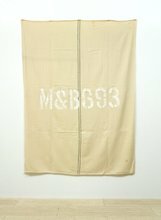 The blankets also resemble abstract paintings and MacPherson has arranged them, left to right, from the lightest blanket to the darkest. 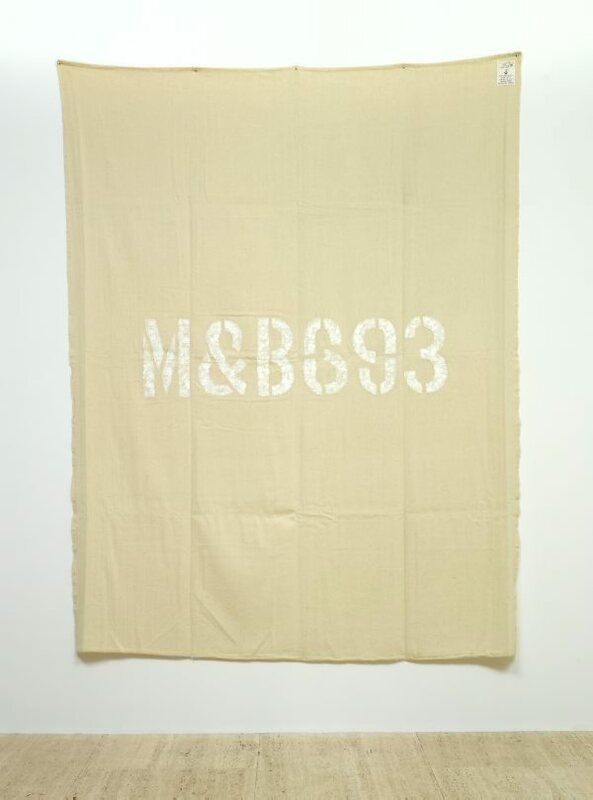 A further skein of references is found in his titling as this work is from his ‘frog poem’ series in which text and objects appear in allusive relationships as suggested in this case by the blankets and the coded letters and numbers. 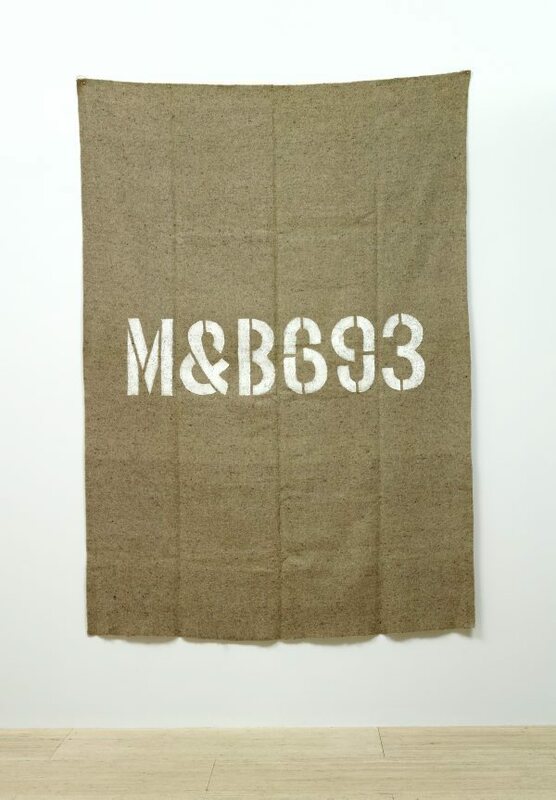 A keening is a lament and in this work the lament may be for the harsh history of the stockmen and their intertwined relationship with the Aboriginal populations along the route, as well as for the passing of this period of Australian history. 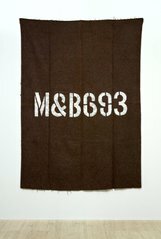 The blankets sag lightly on the walls, scaled as they are to the human body they resonate with suggestions of both comfort and despair and how a sense of Australian identity has often been built up around difficult and hidden histories disguised by bush lore and mythologies of place. 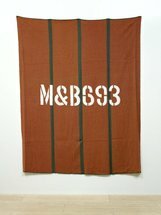 Unknown (Curator), Robert MacPherson , Perth, 2001, 77, 78 (colour illus. 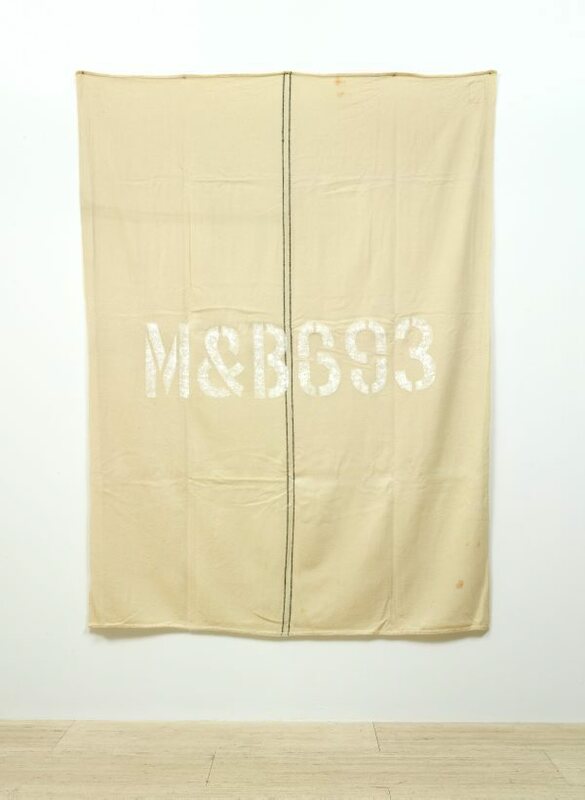 ), 79.